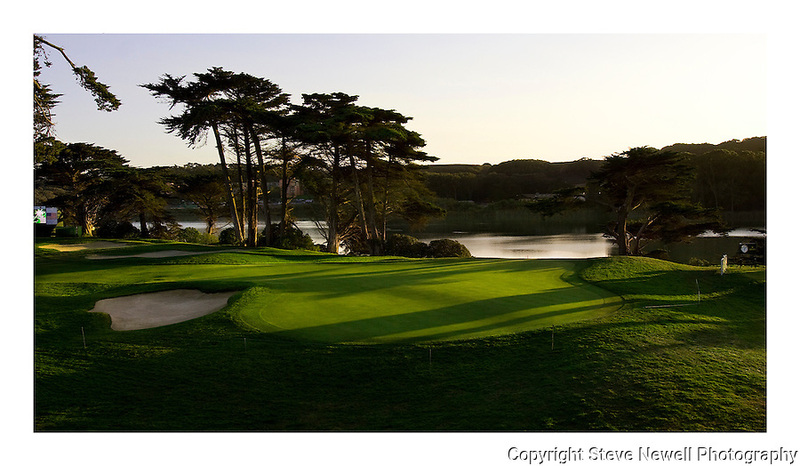 San Francisco's Harding Park Golf Courses Hole #14 during the President's Cup in 2009. I captured this photograph on the night before the practice days started for the tournament. Being able to take the photograph from the top of the gallery stands gave me a vantage point that you don't ever get and especially without anyone else in the area. The PGA altered the way the course was played to have more matches finish on their signature hole that week so this isn't the normal hole #14 of the course. The Cypress trees are super impressive and are on every hole.